BRIGHTON, Mich.- We received our first shipment of 2013 Ford Fusions last week and we couldn't wait to take one out for a test drive to create the 2013 Ford Fusion Walk-Around Review just for you! Let me tell you, we we're not disappointed one bit. And before you get all excited keep in mind that Brighton Ford has Ford Fusion A Plan Pricing Pricing and Ford Fusion Rebates to keep your payments low! Turn the car on, and you'll second guess yourself because the all new Fusion is so quiet. The engine doesn't actually kick in until it's needed so you won't hear a thing when the car is stopped or moderately accelerating. As you prepare to back up by putting the car in reverse, the 2013 Ford Fusion automatically brings up the back-up cam, so you can better see your projected path and ensure you're not about to hit anything. Things are safe in the front of the vehicle as well since the all new Fusion is equipped with sensors in the front too. 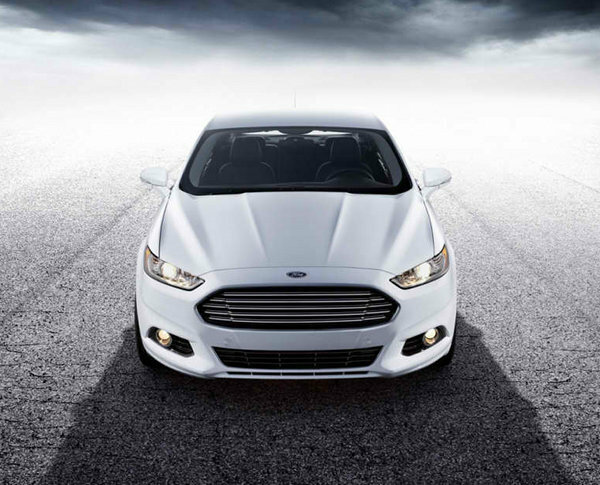 And to make your drive even easier, the 2013 Ford Fusion features electric power-assisted steering. The 2013 Ford Fusion Review also includes the Fusion's new auto start-stop technology, which is the first non-hybrid mid-sized sedan to do so! In short, this Fusion technology increases your fuel efficiency, but to learn more check out our blog post: 2013 Ford Fusion Will Feature Auto Start-Stop To Save Fuel. You may have heard about another new technology available on the all new Fusion in our 2013 Ford Fusion Review Sneak Peek, called Lane Keeping Technology. This driver-assist technology has three available modes to keep the driver alert and assist the driver when the vehicle is drifting out of the lane. For more detailed coverage on Lane Keeping Technology take a look at our blog post: 2013 Ford Fusion Lane Keeping System. Now that you're fully informed by the 2013 Ford Fusion Walk-Around Review, and are probably craving a test drive of your own, come on in to Brighton Ford. We're located at 8240 Grand River Ave. just north of I-96 in Brighton, stop by and check out our Ford Fusion Inventory. We are a family owned and operated business that strives on customer satisfaction. 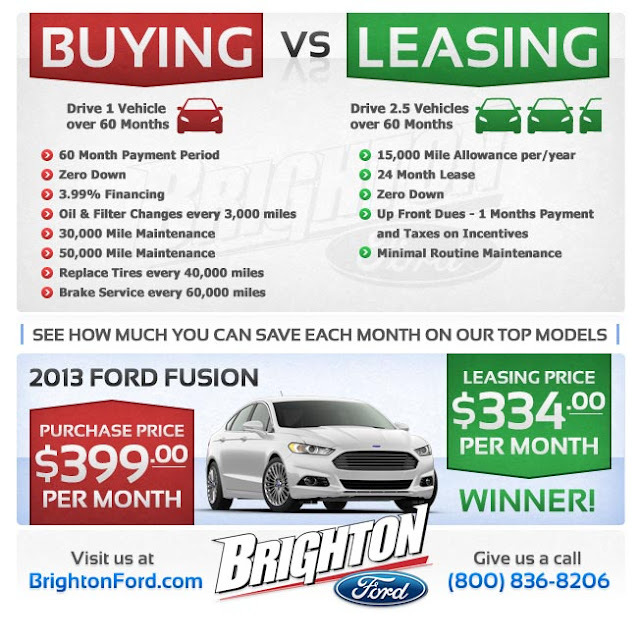 For more information on Brighton Ford visit BrightonFord.com or give us a call at (800)-836-8206.